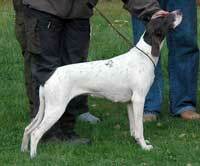 Mathilda is an excellent huntingdog, hardworking and extremely eager to find game. She never stops and her running and pointing style is electric! 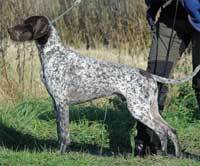 She is well rewarded in fieldtrials and shows, several groupwinnings and she was best female in the National gsp-specialtyshow here in Finland 2011.Naik is a youngdog from our successful N-litter. He has been a pleasure to work and compete with, has a very calm and “will to please” attitude. In field he´s got speed and style. One of the best youngdogs we ever seen. 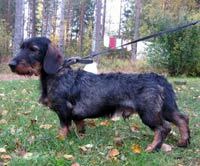 1st prize in fieldtrial and CAC, CACIB in shows.This is a linebreeding combination to Nord CH EUW-06 Don Korleone´s Babe Magnet. 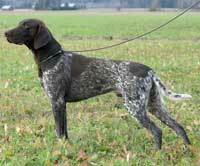 Aino is a very intelligent dog that always does her best to make your hunting great! She´s a “birdfindingmachine”, in fields, thundra and forest. She´s got 1st prize in fieldtrial, 1a ökl, avo-1, 2nd in winnerclass, ekl-2 voi-2. and has been a winner of Nokkala Ralli”. She has CAC in show. 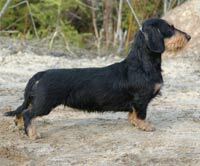 Roy is a son of the very famous german male Rocky KS vom Neaurenberg, most popular studdog ever in Germany. 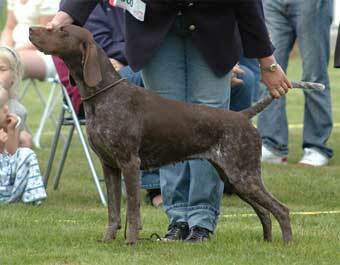 Roy´s mother is a doublechampion (trials &show) and she is a combination of great huntinglines from Norway and Germany. Roy is rewarded in fieldtrials, 1a prize, 1a ökl, avo-1 and shows CAC, sert. He has well rewarded siblings. Puppies will be born in week 52! 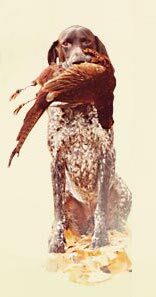 Interesting combination of huntingbloodline dogs. “Milla” is an eager hunter and works very good over and under ground. She has the most charming and happy character and sure is a big little dog! 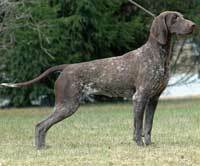 This will be her 3rd litter and dogs from her litter A and B are doing very well in huntingtest and shows. Herkko is a so called “Starchampion”, Tähti Valio. A title for a dog with 3 1st prizes, from chasing 3 different kind of game. Herkko has many 1st prizes and was 5th best dog in SM this year. In shows he´s got reserv-CAC, Varasert. He is a happy and friendly dog, mediumsized and great coatquality. Milla is pregnant and puppies are expected in week 52. We belive this will be very nice hunting/familycompagnions!